Thermwood has completely redesigned and expanded the EZ Office library, which is part of the design offerings under its YouBuild program. Discussions with major national office product retailers have uncovered the need for a variety of resizable office furniture but the original EZ Office was only available in limited fixed sizes. To address this, Thermwood programmers have (while retaining original styling) redesigned EZ Office products so they can be freely resized by the customer. 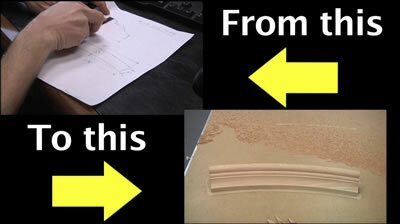 All new designs have been machined, built and fully vetted and are ready. 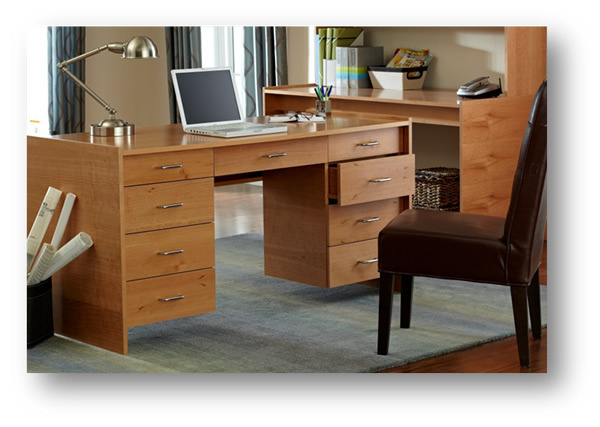 Library Style desks offer a working desktop with either two or three narrow drawers under the top or also available without drawers. 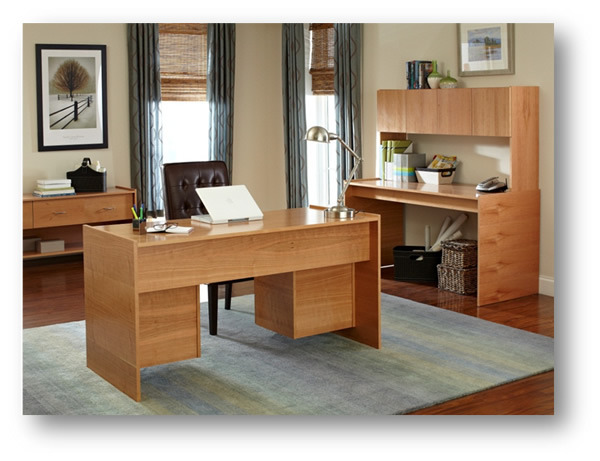 Office Style desks can be made in widths from 30” to 66”. 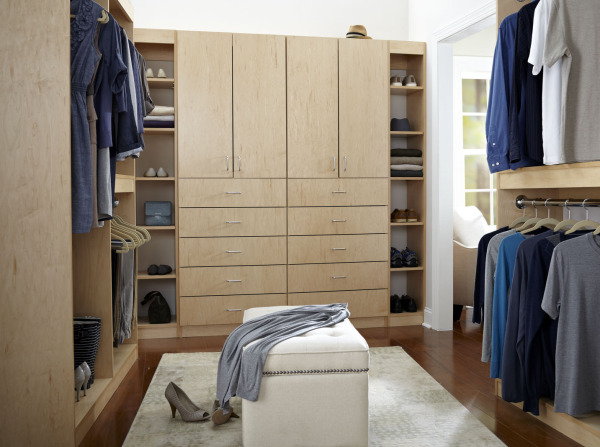 One style, available in widths from 30” to 48”, has a four drawer stack on either the left or right side. The second version available from 48” to 66” wide offers dual drawer stacks. Mini Student style desks feature a pull-out shelf available from 24” to 36” (for use where space is at a premium). Desks have finished appearance on both front and back and can be positioned against a wall or away from the wall with the users back to the wall. The simple, clean designs blend with virtually any decor. Credenzas come in several complimentary styles with adjustable width to match the desks, offering the ability to mix and match components to address a wide variety of needs. Upper cabinet modules can be mounted to desks or credenzas of the same width. Finally, a collection of base and tall wall cabinets and single or double shelves round out the collection. This collection is called "EZ" because of its simple yet elegant design and the fact that all pieces are assembled with a screwdriver using “Lock Joints”. “Slot Slide” drawers assure perfect alignment yet do not require separate drawer slides. Drawer bottoms extend past the drawer sides and slide in dado slots machined into partitions. Three different styles of drawer and door pulls are offered and some items, which can function without pulls, are available without pulls. 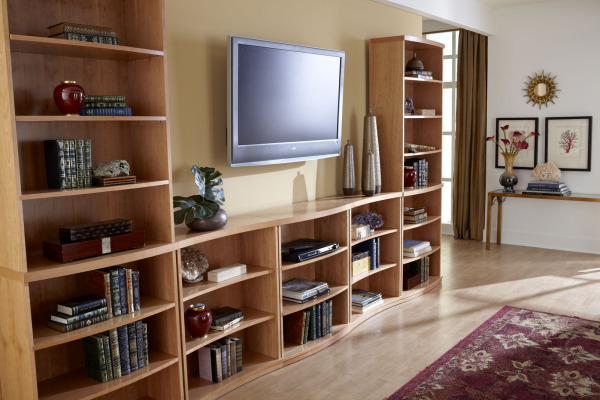 These units are relatively easy to assemble with a caution that larger pieces may need two people to handle. The full EZ Office library offering can be seen here. An introduction to Thermwood Corporation and our products and services. A virtual tour covering history, innovations, fabrication, machines, demonstrations, service, support, training, engineering, quality control and much more. Thermwood Corporation has announced a new program called “YouBuild”, a new and unique business model, providing an easy path for cabinetmakers with Thermwood CNC routers to easily address the huge home and office furniture market. It starts with a web site, YouBuild.com, which offers over a thousand unique designs for home and office furniture and closets, some by renowned furniture designers. What makes this even more unique is that these designs can be customized and are available in four real wood species, walnut, maple, oak and cherry, either finished or unfinished. Sizes of most items can be adjusted. The wood, specially made for YouBuild by Columbia Forest Products, the largest manufacturer of hardwood plywood in North America, is high-quality, formaldehyde-free and available in any quantity through local Home Depot stores under a special order program. Manufacturing is done locally by cabinet shops who participate in YouBuild, called “YouBuild Cut Centers”. Orders are placed online. Each Cut Center has its own online area within the YouBuild site. Products are specified, customized and quoted online. YouBuild Cut Centers access CNC programs online, using their CNC machined control, and then cut and edgeband parts that were ordered. Customers can assemble themselves, using unique joinery, or they can have the Cut Center assemble for them. Cut Centers are not required to do any design or programming, they just sell and make what is ordered using the online programs. To help sell, they can establish Retail Dealers and Retail Design Centers. These are independent individuals and businesses that promote and sell YouBuild products for them and receive a commission on any orders they generate. 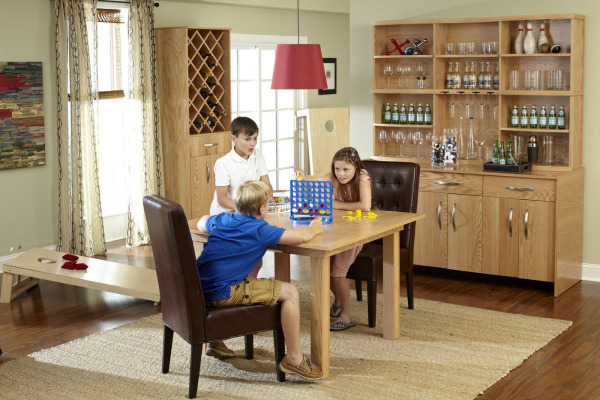 YouBuild offers an entirely new approach to furniture and, because the program is so simple and efficient, top-quality, formaldehyde-free, real hardwood materials can be used, while keeping prices highly competitive. There is no cost to become a YouBuild Cut Center as long as shops have the equipment necessary to use the technology. You can find more information in the YouBuild section of the eCabinet Systems web site and at YouBuild.com.